Ginger Paste is spicy and delicious. It is perfect served as a condiment for any meat or fish dish, or as you would use a relish or chutney with fruit, cheese, and crackers. Ginger has a strong, distinct flavour that is often highlighted in Asian dishes and to complement sweet salads and fruit dishes. 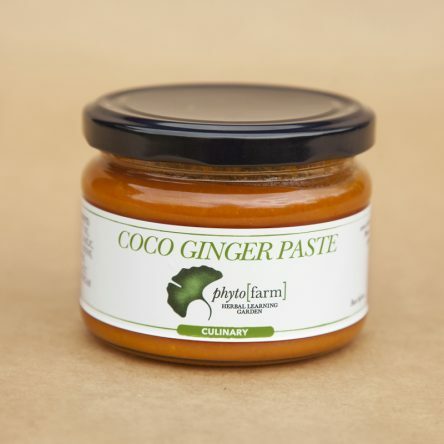 However you use it, it will add zing to the taste of any food – a star of the Phytofarm culinary cupboard! Keep refrigerated after opening.